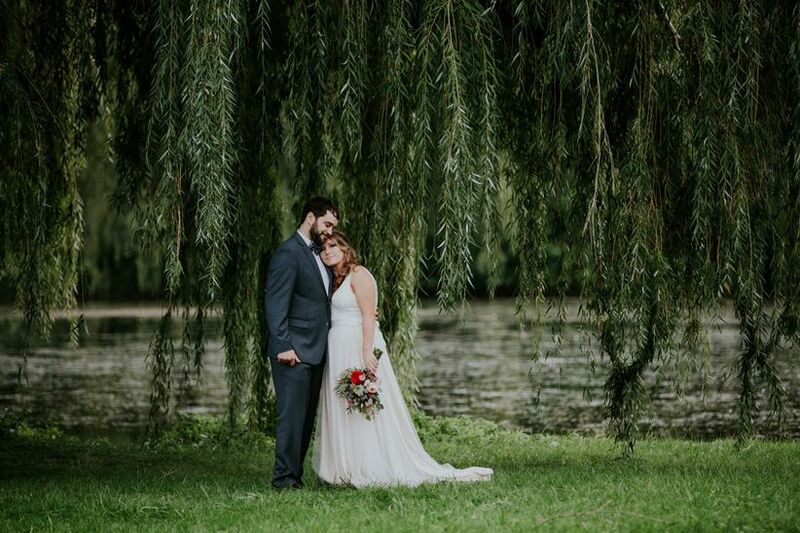 Plan your perfect summer wedding with these beautiful and unique outdoor wedding venues in Metro Detroit. There’s a reason why August and September are the most popular months to wed in Detroit — the summer weather is sublime. 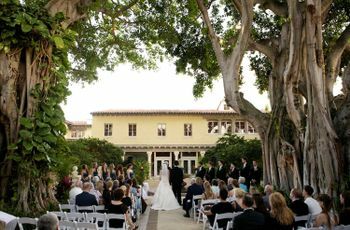 If you’re looking for stunning outdoor wedding venues in Metro Detroit for your warm weather nuptials, you’ll definitely want to consider this diverse list of options. With an outdoor wedding venue comes the opportunity to create romantic, garden wedding vibes, take your guests on a chic, glamping-style farm adventure or bring the indoors outside with an upscale lounge feel. 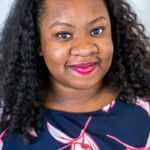 No matter what wedding theme you’re going for, you’ll find a fitting complement in at least one of the Detroit wedding venues we recommended below. 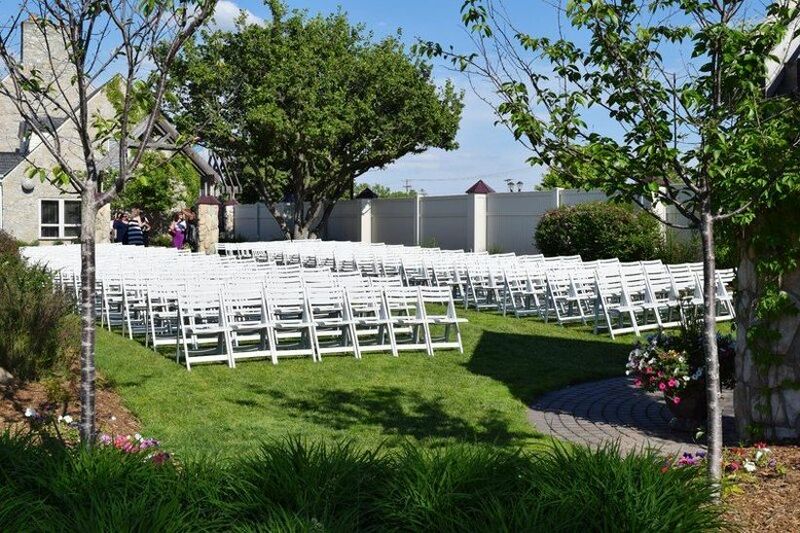 You’ll love these gorgeous outdoor wedding venues in Metro Detroit. 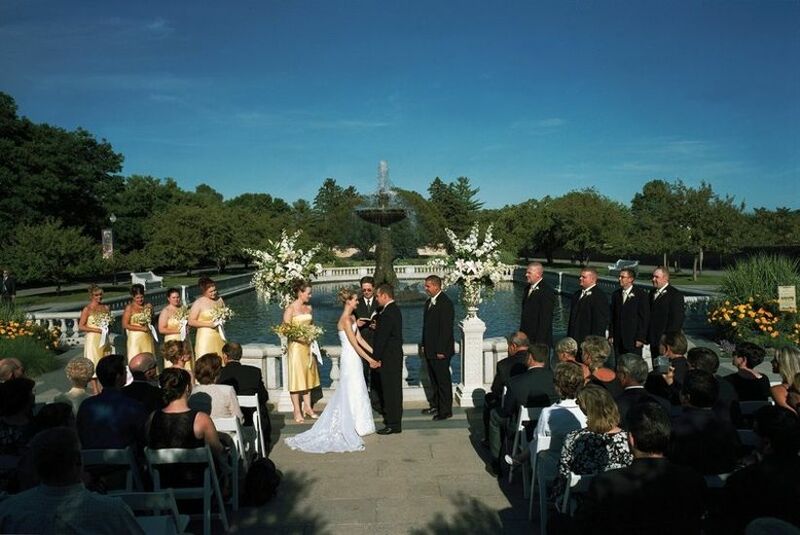 One of the most elegant outdoor wedding venues in Metro Detroit, The Henry Ford is a beautiful museum wedding venue that preserves artifacts and history detailing American innovation. 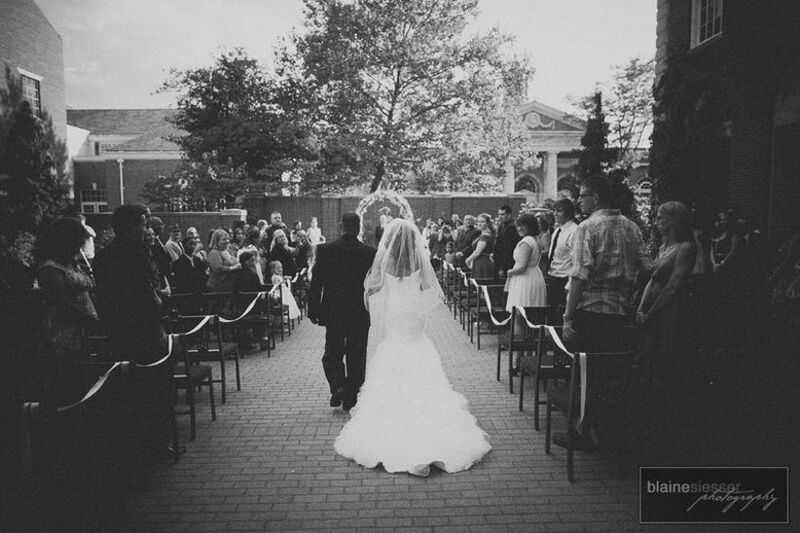 Located in Dearborn, this spacious historic building offers three indoor and one outdoor space for your dream wedding. 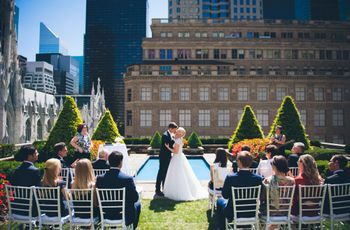 The lush Pennsylvania Courtyard is the perfect venue to make all of your garden party wedding theme dreams come true with a canopy of shade trees, a stately brick mansion backdrop and the capacity to accommodate up to 400 wedding guests. If you want to head indoors for the reception, this venue offers options for that as well with Anderson Theater and Museum Plaza accommodating up to 600 and 400 guests, respectively. Madison is one of most stunning downtown Detroit wedding venues, having been expertly restored after more than a century of use as the Madison Theatre. Their striking outdoor rooftop terrace is what makes this the perfect wedding venue for your special day. 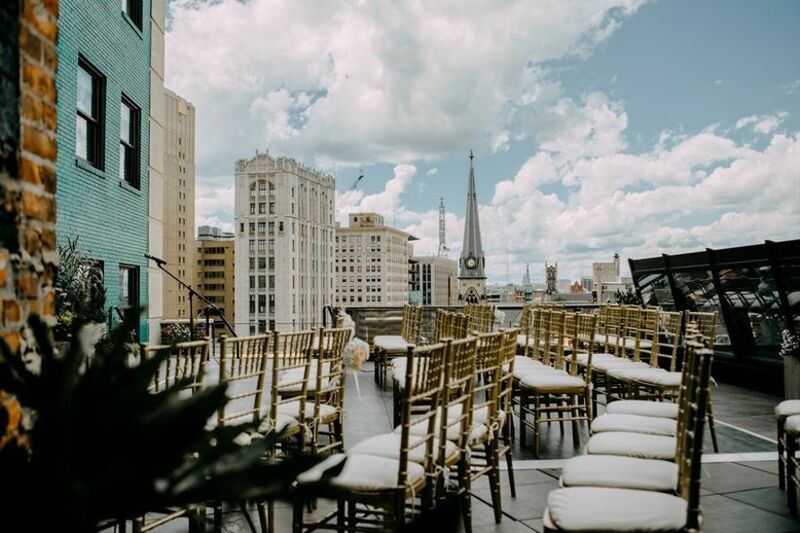 Located in the heart of downtown on Broadway, the terrace offers breathtaking views of downtown’s most recognizable buildings, like Comerica Park, Ford Field, the Detroit Opera House, Fox Theatre and Greektown Casino. Madison accommodates up to 180 seated guests in the multi-level terrace, which includes a covered grill catering center, a covered bar, a lounge area and a wraparound balcony. If you’re looking for weather-proof event spaces, Madison also offers an indoor lounge with 130 auditorium-style seats. 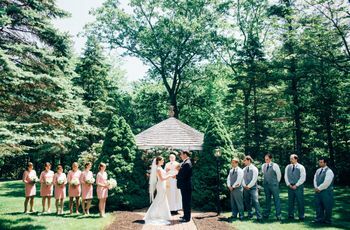 Of course, stunning outdoor wedding venues in Metro Detroit include a nearby golf course. Bay Pointe Golf Club is about 30 miles northwest of downtown Detroit in West Bloomfield, Michigan and offers a one-stop-shop, all-inclusive wedding package for couples. You’ll love being outdoors on the rolling, green plains of this expansive golf club. 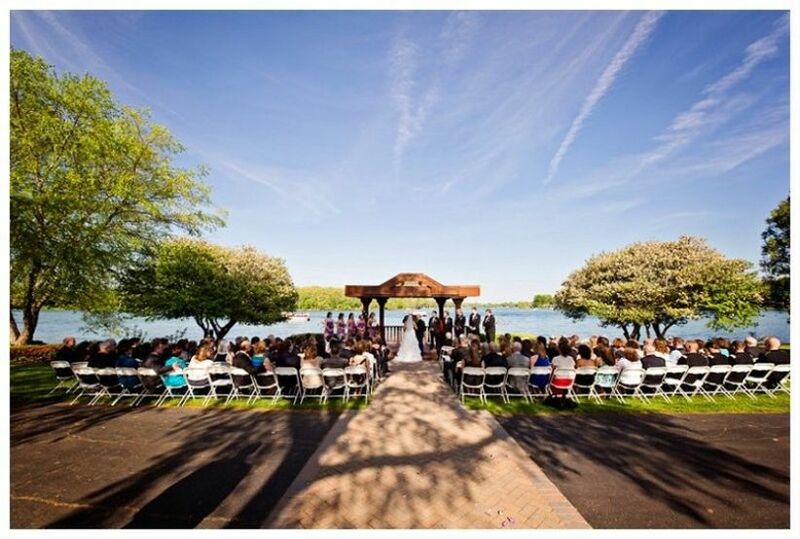 Located just off Middle Straights Lake, one of the state-of-the-art Detroit wedding venues offered here includes a tranquil lakeside view. Host your wedding of any size here as the event spaces are ideal for parties as intimate as 50 or as extravagant as 10,000. If you’d prefer to move indoors for the reception fiesta, there are banquet halls to choose from here as well. 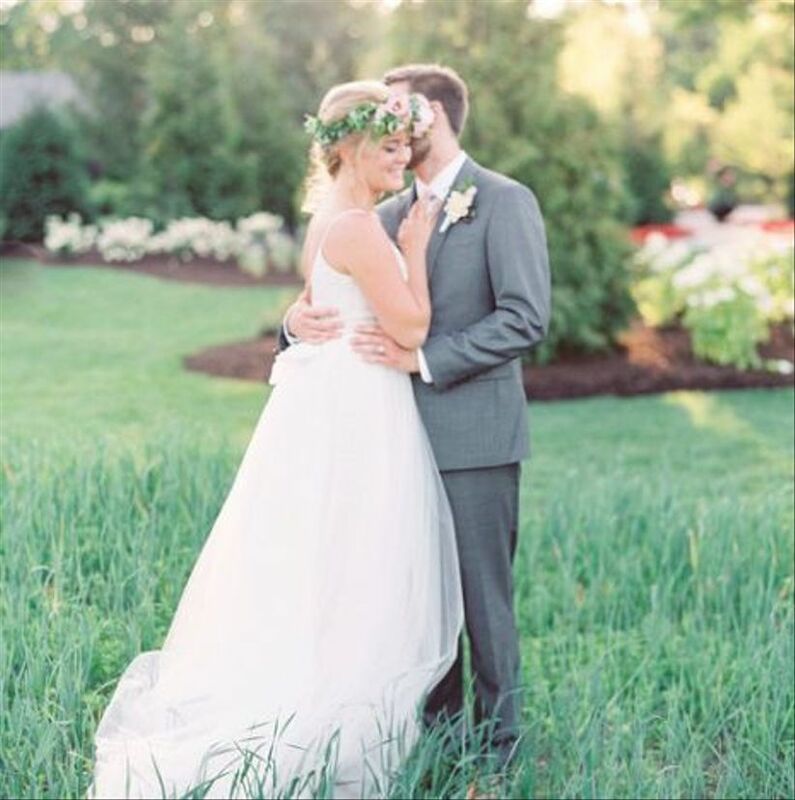 Head to Holly, Michigan to create a rustic glam wedding day experience at The Field House. This reclaimed barn was created by a husband and wife construction and design duo after their daughter became engaged and wanted a Michigan venue that was as elegant as it was natural. 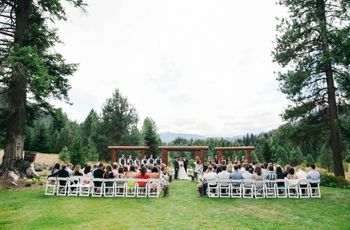 Couples will appreciate the thoughtfulness and pretty details available for their wedding ceremony and reception, including custom made tables with cross-back chairs, lush alfalfa grass fields, wooden chargers for plating and unique milk glasses for adorable cocktails. Couples seeking outdoor wedding venues in Metro Detroit will get a forest of hardwood trees as the ideal rustic backdrop, then head inside to the elegant barn for an unforgettable reception. 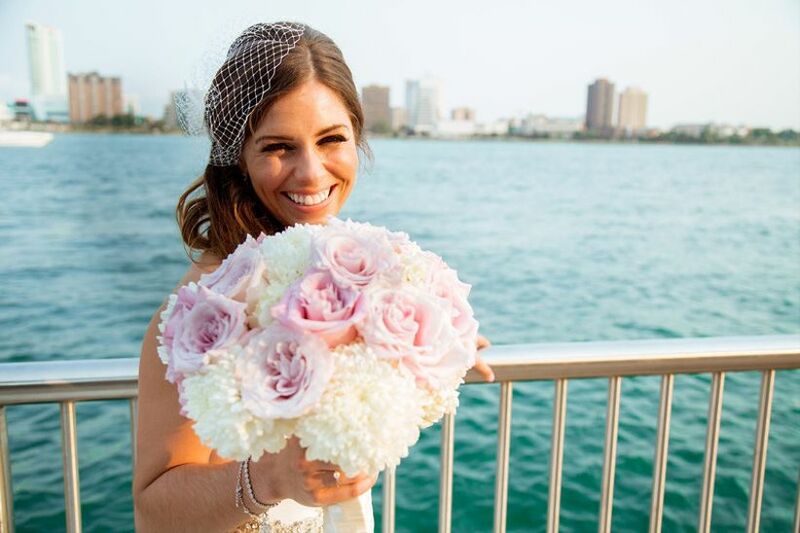 There are few outdoor wedding venues in Metro Detroit with a better location than Waterfront Loft at Port Detroit. Located on the edge of the Detroit River, this unique venue includes an outdoor terrace with stunning views of the river and downtown. If you prefer to move indoors for your reception, you won’t lose much of the view because this venue’s modern, second-floor loft includes floor-to-ceiling windows so you and your guests still feel like you’re outside. Waterfront Loft at Port Detroit is ready to accommodate up to 400 wedding guests. Invite some of the world’s most exotic creatures to share in the excitement of your wedding day at the Detroit Zoo. This one-of-a-kind and affordable wedding venue may be a children’s paradise by day, but it cleans up nicely for adults by night. Couples looking for outdoor wedding venues in Metro Detroit have three options at this Zoo: the Pavilion, which seats up to 300 guests; Rackham Fountain, which seats up to 200 guests and Cotton Family Wetlands Boardwalk, which seats up to 90 guests, but includes cameos from adorable frogs, turtles and ducks. This location also includes options for indoor Detroit wedding venues, like the Wildlife Interpretive Gallery (50 seated guest capacity), Polk Penguin Conservation Center (150 seated guest capacity) and the stunning Arctic Ring of Life. This ring venue is surrounded by a winding 300,000 gallon polar bear and seal habitat. It seats up to 50 wedding guests and offers views of what you’d see underwater. 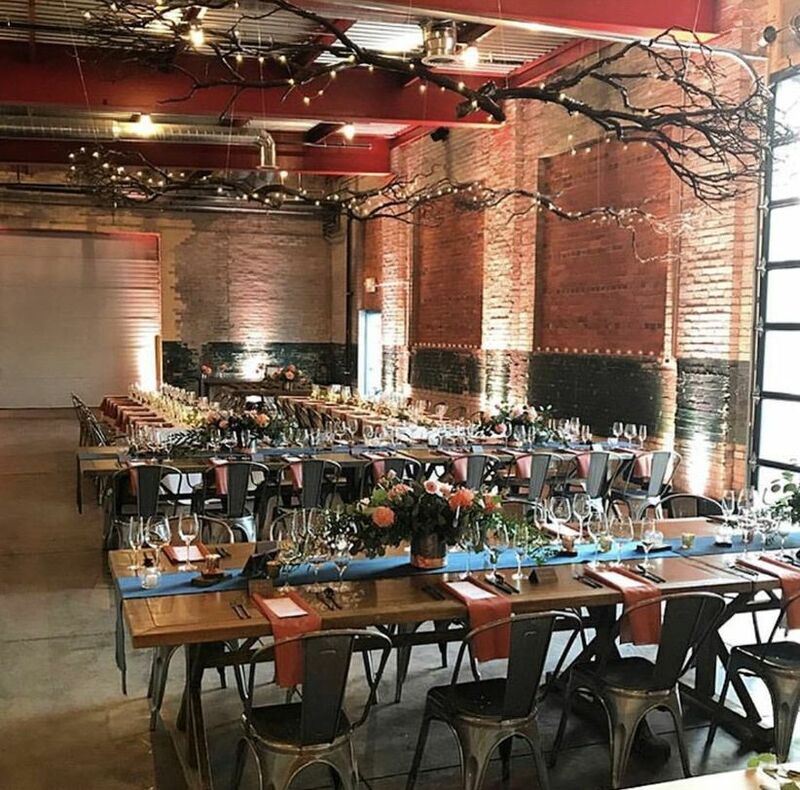 This 3,000 square foot patio in Detroit’s Eastern Market neighborhood is made for warehouse chic weddings. The space evolved from a fire station and a fire department repair building to the converted warehouse venue it is today. Enjoy an outdoor tent in the patio, or set up family-style wooden benches to enjoy the city under hip string lights. If you’d prefer to head indoors at some point, there’s 5,000 square feet of industrial space inside with red exposed beams, exposed brick walls and a floor-to-ceiling window for tons of natural light.